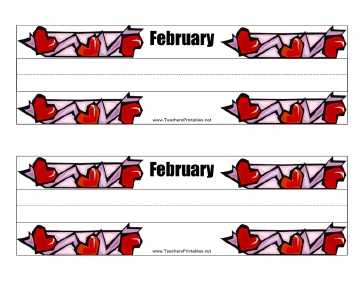 Teachers who want something fun for February or Valentine's Day can use these free, printable desk tags. The month of February is listed on top of a penmanship line for student names. Purple and pink hearts decorate the border.